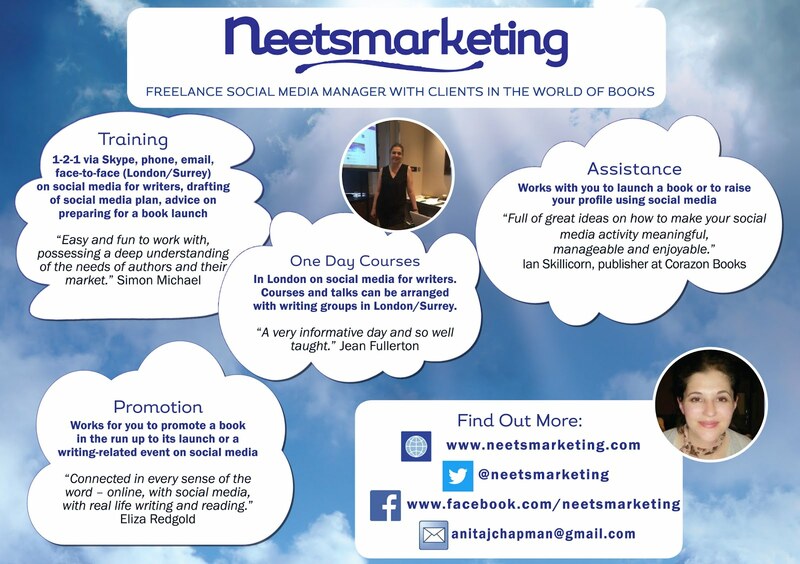 It's been three years since I launched neetsmarketing (this is my neetswriter post from December 2014). 2017 has been an interesting year with my new role as tutor at Richmond Adult Community College, Surrey (UK) being a highlight. Here’s a round-up of 2017 with a few pics, plus my top three posts (most page views) of the year, and since the launch of this blog. 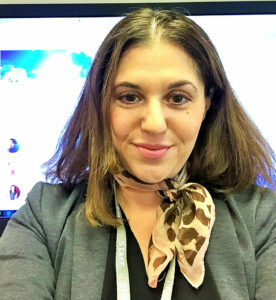 In March, I went to the London Book Fair (see my #lbf17 tweets here), which I always enjoy attending as I get to catch up with author friends and listen to the informative talks at Author HQ. 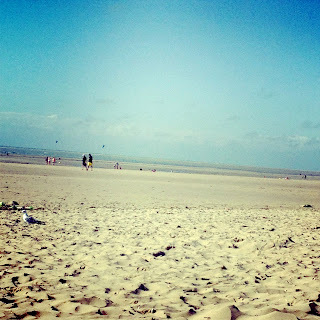 This year, I pitched my novel to an agent, and received positive feedback which was lovely (still working on that novel-see neetswriter blog...new post out soon!). 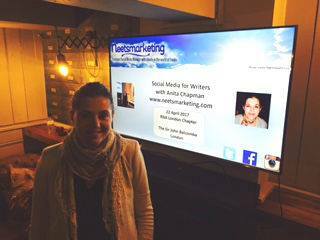 I was invited to give a talk at the London and South East Chapter of the Romantic Novelists’ Association (RNA) in April, which was an honour as I’ve been a member of the RNA since 2010, and have attended a few London and South East Chapter meetings in the past (see tweets from my #neetsapr17 talk and Twitter exercise here). 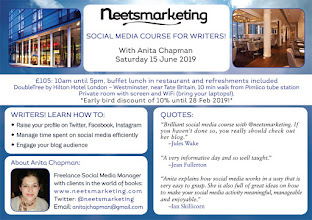 I ran my Social Media Courses for Writers at new venue, the Holiday Inn Bloomsbury in May (#neetspring17 tweets here) and October (#neetsoct17 tweets here), and more courses are planned for 2018. In July, I attended the RNA conference at Harper Adams University (see my #RNAConf17 tweets here). This was a fantastic conference, and I wrote a post about the weekend here. 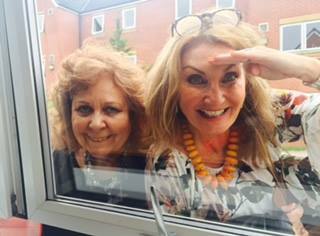 Della Galton mentioned my writing and social media blogs on her Dear Della advice page in the October 2017 issue (192) of Writers’ Forum, and in October, Elaine Everest invited me to run a one day Social Media Course for Writers for her writing class, The Write Place in Kent. @neetswriter have just recommended your excellent blog in October issue of Writers' Forum (192), on sale 14 Sep.:) in my Dear Della page. In November, I started teaching my new course, Social Media for Writers and Bloggers at Richmond Adult Community College. The next 10 week courses start 11 January and 26 April 2018. 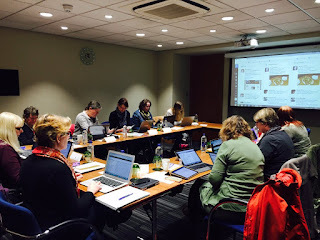 Also, I ran my first Social Media Course for Writers Part II (due to requests from former course attendees). Two Part II/Refresh courses are booked with the Holiday Inn Bloomsbury in 2018, and I’ll be emailing former attendees who have expressed interest in this course in January. The RNA Winter Party/ Industry Awards returned to an old (and favourite) venue at the library, 1 Birdcage Walk in London-a beautiful room; and I enjoyed catching up with lots of friends. 2. What are Hashtags, Why Use Them and How? 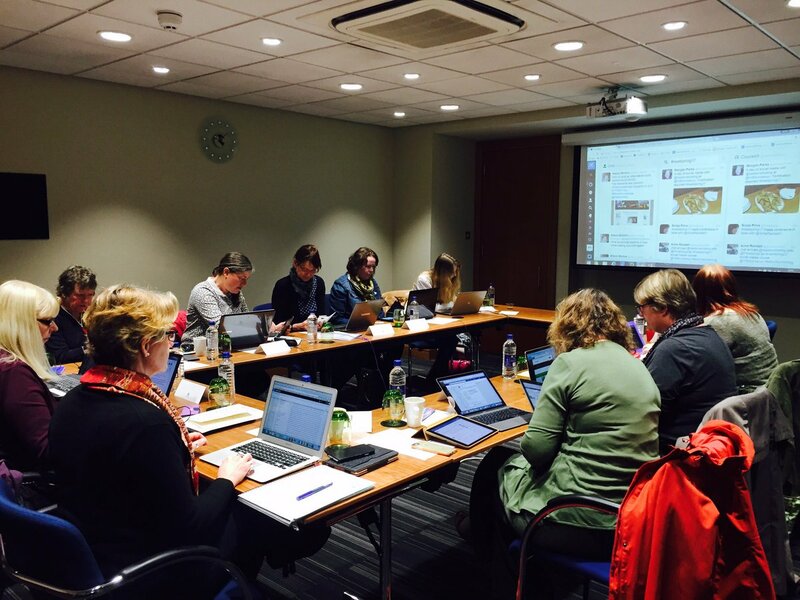 I’ve worked for some interesting and lovely clients this year, doing training on social media via phone/ Skype or face-to-face and drafting social media plans for some. In 2017, my clients have included J.F. Kirwan (Nadia Laksheva series), Anna Belfrage (The Graham Saga Series and The Kings Greatest Enemy series), Helen Matthews (After Leaving the Village), Sue Bentley (Magic Kitten series for children age 5-8, and YA dark psychological thriller, We Other), Alice Peterson (A Song for Tomorrow), Emma Burstall (The Cornish Guest House-Tremarnock series). Wishing you all a Merry Christmas, and a Happy New Year, and thank you for reading my posts and supporting my blog in 2017!